The IDAS HEUIB-II filter for Canon EOS with Full Frame sensors (H-alpha Enhanced UV IR Blocking) is designed for astronomy modified DSLR's and one-shot color CCD astronomical cameras. This model it is to be inserted in Canon EOS DSLRs with Full Frame sensor camera body. Compared with LPS-D1 model, the HEUIB-II filter is better when used under dark skies, with low light pollution (LPS-D1 filters are the best choice when there is moderate-to-high light pollution). The HEUIB-II filter also returns normal daylight color balance to astronomy modified cameras with normal DSLR auto-white-balance (AWB) enabled. 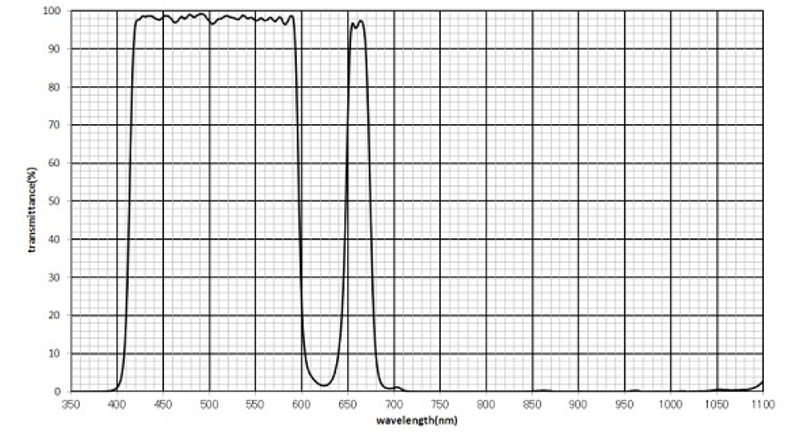 Besides removing the IR and UV ends of the spectrum which are often out of focus in refractive optics, the IDAS HEUIB-II filter isolates the common H-alpha line relative to the surrounding extreme red end of the spectrum, making it easy to bring out the faint H-alpha emission nebulosity of astronomical photos, yet retain the background color balance of broadband photos. This filter connect in simple way in the camera body of the Canon EOS DSLRs with Full Frame sensor (it comes with installation manual), just in front of the camera mirror. It's fixed in position by adding a Canon EOS T2 or M48 ring.